KINGFISHER ULTRA INDIAN DERBY partnered by Signature Packaged Drinking Water, the year’s most awaited event in Mumbai, raised the stakes with the best entertainment a weekend can offer. As always, the year’s most awaited event is high on fashion, sport and entertainment. 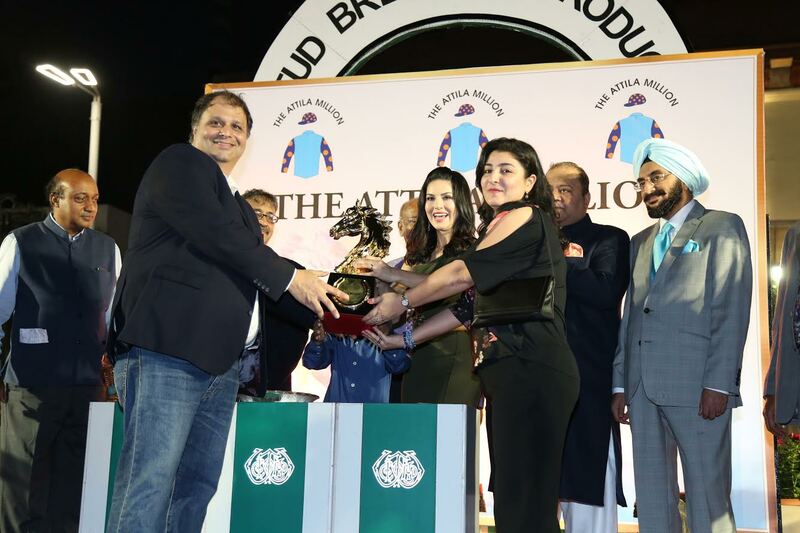 Actress Sunny Leone graced the pre-derby celebrations and shook a leg with singer Lucky Ali. She gave away prizes to the winners of the evening races today at the RWITC. In an exclusive video which she shared on her social media handle, Sunny Leone said, “I am thrilled to be part of the season’s most awaited racing event and carnival celebrations that Mumbai will ever witness”. She also invited everyone to join her at this biggest celebration where sports meets fashion & entertainment. Saturday evening at the RWITC had a fantastic turn out of Mumbaikars for the Derby carnival and the evening races - seen enjoying an array of fun activities, indulging their taste buds at the Yellow Festival Café @UltraDerby. DJ Willy and Kingfisher Ultra kept the spirits high between each race. The draws on Friday evening firmed up the post positions for the big day on Sunday.